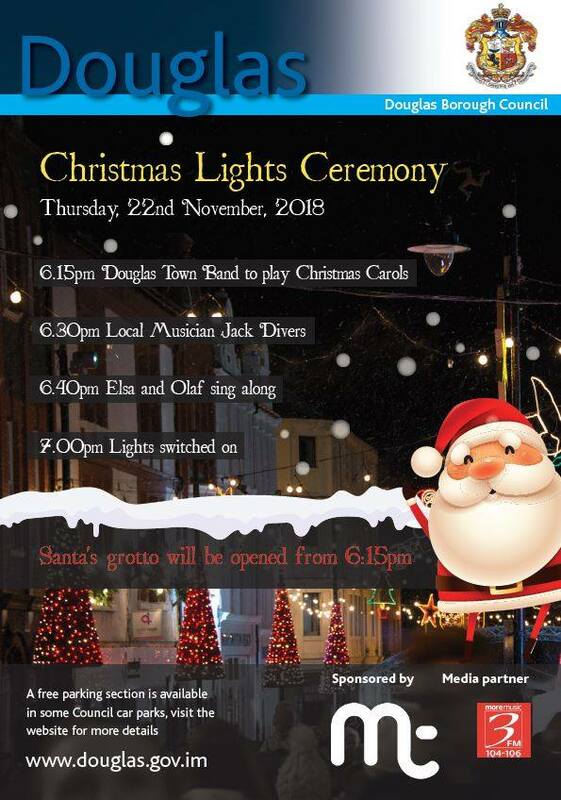 Christmas is just around the corner and to really get you in the festive mood we would love you to join Matt and the 3FM team for the Douglas Borough Council Christmas light switch on, Thursday 22nd November from 6.15pm proudly sponsored by Manx Telecom! Santa will be in his grotto, Douglas Town Band will be playing . . . there'll be a performance from local musician Jack Divers and a visit from Elsa and Olaf! Then at 7 – it's the official switch on ceremony performed by his worship the mayor: before fireworks and snow fill the air! If you would like to find out more, click HERE or go to our Facebook event HERE! That’s Douglas Borough Council's Christmas lights switch on, proudly sponsored by Manx Telecom and supported by More Music 3FM!